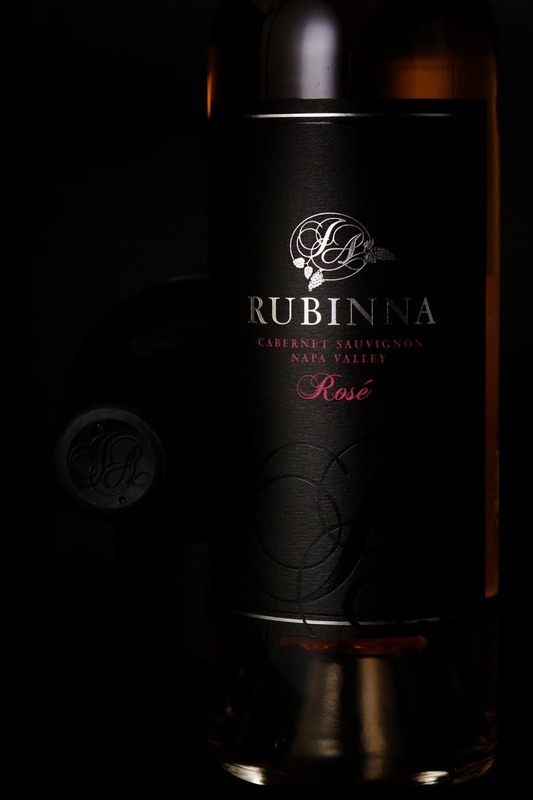 What is unique to Rubinna wines, we bottle-age all of our red wines. Bottle-aging allows for the wine to mature and take shape. This means, after aging in our French barrels, we bottle the wine and hold onto it before releasing. For example, our Cabernet Sauvignon is not only barrel-aged in new French oak for 26-30 months but also bottle-aged for another 12 months. The total is around 3 ½ years of winemaking for an output of true beauty for our customers. 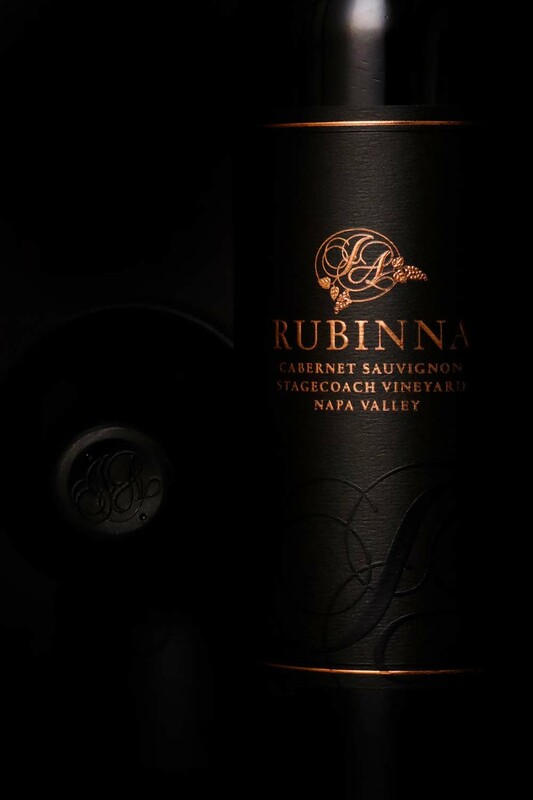 This cabernet sauvignon is a clone 4 sourced from the highly acclaimed Stagecoach Vineyards which climbs between 900 to 1700 feet up in the southern face of Pritchard Hill to Atlas Peak. 28 months in French oak barrels (70% new). Bottle aged 12 months. 2014 Deep purple in color, it offers aromas of currants, crushed rocks and black fruit. Savory and broad, the concentrated palate delivers cassis, blackberries, and dark chocolate. Muscular tannins are matched with vibrant acidity and lead to a long finish. 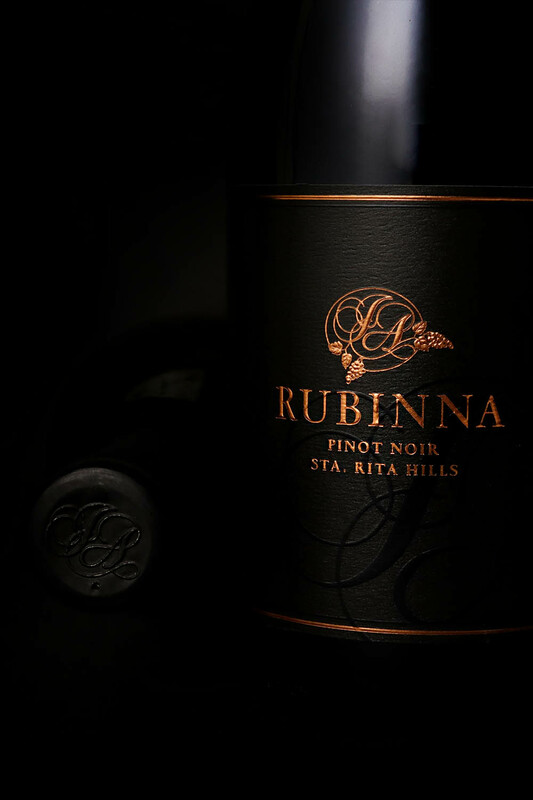 Our Pinot Noir is sourced from Lindsay’s Vineyard in Sta. Rita Hills, one of California’s premier cool-climate AVAs. Bill Foley is the owner of the vineyard and the clones used are Prommard 4 and Wadenswil. 18 months in French oak barrels (30% new). Bottle aged 12 months. Medium weight with a beautiful mouthfeel, sweet mid-palate, polished tannins and great length. This wine will age nicely but ready now to drink. The Viognier is one of the most difficult grapes to grow and ultimately make great wine because of how delicate the grape is. Here, the vineyard and placement of the growing grapes is critical. We source our fruit from Catie’s Corner Vineyard located in the famous Russian River Valley. This AVA is most known for its Pinot Noir but it’s fantastic for the Viognier because of the consistent cycle of gentle warming and cooling each day, often resulting of foggy mornings and evenings. 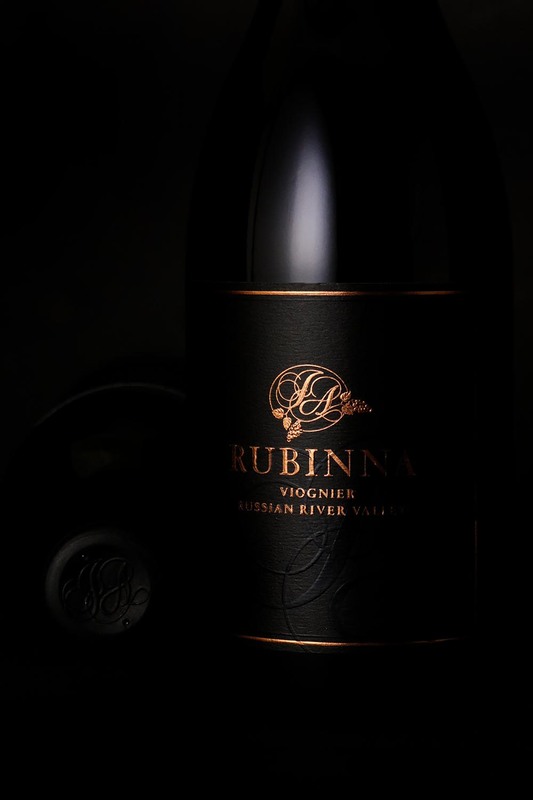 This helps the balance between attractive natural acidity and opulent flavors typical of a Viognier. Also, what make this vineyard so special is the soil which is predominantly Huichica loam soil. 9 months in neutral French oak barrels. This Viognier is crisp and fresh but with texture to give a mouthful feeling in every drink. The acidity and fruit balance each other giving an aroma of nectarine, guava, and white flowers…this wine is amazing and a terrific alternative to a chardonnay because of the complexity…this wine will age and mature, since the release in the fall of 2016 it taste bigger. This Sauvignon Blanc is from a vineyard in Napa Valley called Morgan Lee. The AVA is in Yountville. This vineyard is nestled across the valley floor and thrives from a daily ritual of crisp mornings that bow to sunbathed afternoons. The pattern delivers a flourish of explosive flavor and eye popping acidity. 8 months in neutral French oak and stainless steel barrels. Because of the French oak, this Sauvignon Blanc is medium weight with balanced acidity, ripe fruit and a touch of mineral elements. Aromas of Stone fruits, jasmine and pears. Flavors of ripe nectarines, citrus and flint. Our Rose is different from most. First, you will notice it is driven by using a Cabernet Sauvignon grape from Napa Valley. 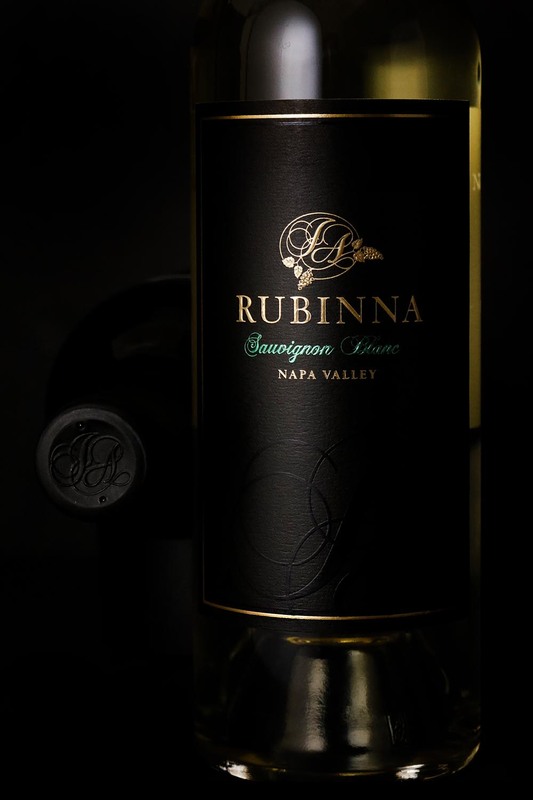 The combination of a cabernet grape and from the Napa region gives a more concerted grape to start from. This combined by using neutral French oak, verses stainless steel which is more commonly used, give greater depth for a rose and less sharp & sweet but more rounded. Our rose is not only perfect for summer days but winter & evenings. Because of the cabernet grape, it compliments all types of dinners too. 7 months in stainless drums and neutral French oak. IN THE CELLAR 18 months in French oak barrels (30% new). Bottle aged 12 months. IN THE GLASS Medium weight with a beautiful mouthfeel, sweet mid-palate, polished tannins and great length. This wine will age nicely but ready now to drink.